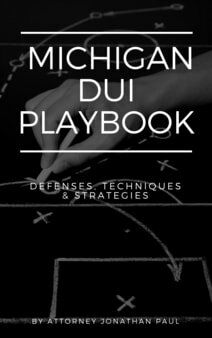 Alcohol use is at the very heart of a Michigan DUI trial. If a potential juror has strong or negative feelings toward alcohol, this is not a fair and impartial juror. As long as the accused is over 21, it is not illegal to consume alcohol, even consuming alcohol to a certain extent then driving. If a juror is predisposed against alcohol use, the alleged drunk driver is fighting against alcohol use rather than the charged crime. The fact that a potential juror does not consume alcohol does not make that juror a bad juror; many people don't drink alcohol for various reasons, but hold no negative feelings toward the consumption. An experienced Michigan DUI attorney will be able to explore the issue during the jury selection process. Another line of questioning could be whether potential jurors have consumed alcohol then driven a car after consuming the alcohol. It's important to remind jurors that this was not against the law, and the alleged defendant is not on trial for drinking then driving, but rather a specific charge that requires more than simple alcohol consumption. An opened minded juror with many life experiences including experience with alcohol makes for an excellent potential juror. Unless a defendant is able to successfully challenge operation, a defendant will most likely be convicted if the jury accepts chemical test results as accurate. Most jurors if polled prior to trial would probably say that if the police conducted a test on someone accused of a crime that the test is most likely accurate. This is the assumption that a juror will take into the courtroom, and will only be reinforced by the prosecution who will call witnesses to the stand to support this assumption. The problem here is that the prosecution cannot convict someone of a crime based upon assumptions; these assumptions are based upon myths. An experienced Michigan DUI attorney needs to rid the jury of this assumption during the jury selection process; it is a very dangerous assumption if adopted. Along with getting rid of this assumption, your attorney must gain commitment from each potential juror that they will actively question the results of the chemical tests. A person accused of a crime is entitled to the presumption of innocence; all chemical evidence must be viewed with the presumption of innocence glasses, not the other way around. An excellent way of achieving this goal is frame the issue for the potential jurors. Frame the issue around "is the test reliable and accurate beyond a reasonable doubt", and remind the jury that just because test results are admitted, says nothing to their accuracy. It is the job of the jury to decide whether the results are accurate, not the judge, not the attorneys, not the police officers or experts on the stand. When planning a trial strategy, you will speak to your attorney about the possibility of testifying. The decision whether to testify may still be up in the air when the trial starts, but regardless of what happens, an experienced attorney will ask jurors about the topic during the jury selection process. The reason why this is essential in every case is that a potential juror has a pre-conceived notion that if someone was charged with a crime, they would surely testify in their defense. It's important to speak to the jury about why this is not always the case. A good way to broach the topic is comparing the defendant to the jury pool. Members of the jury like the defendant are usually not trained in public speaking, and certainly not trained to be cross-examined by a skilled attorney in open court. By presenting a series of alternative reasons why the defendant may not testify, it eliminates preconceived notions if the attorney chooses not to have the client testify. If the client does testify, it may actually make a stronger statement to the jury than if the subject was not mentioned.